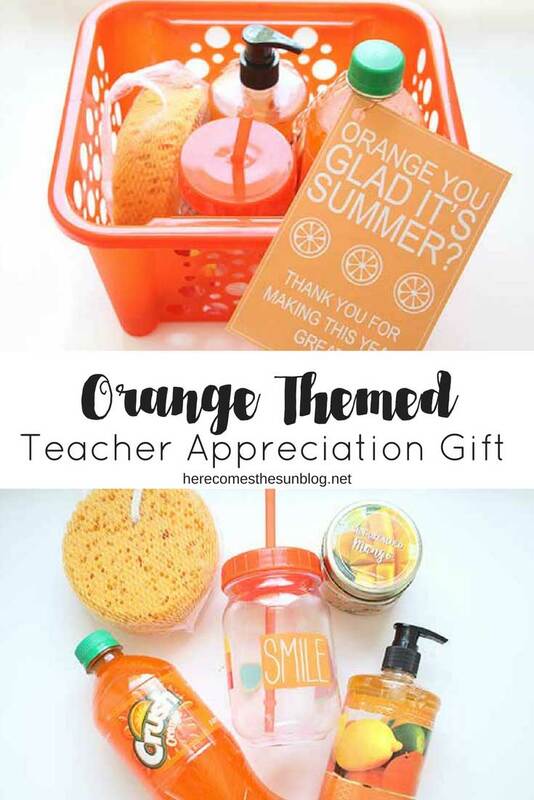 Show the teachers some love with this adorable orange themed teacher appreciation gift! How did the end of the school year come up so quickly? I say that every year and every year I try to slow everything down but it doesn’t work. My kids don’t get out of school until the middle of June so I have a little bit more time than most parents but the barrage of end-of-the-year emails has already started. You know the ones I’m talking about… the “please help with this party”, “five chaperones needed for end-of-the-year field trip”, “10 dollars for end-of-the-year-pizza party” and so on and so on. I’m a little overwhelmed with it all to tell you the truth. But not as overwhelmed as all the teachers. They seriously have the hardest job ever and I don’t know how they do it. They have to bring their game face everyday and can’t zone out in front of their computer screens. They can’t take long lunch breaks or decide to work from home one day. They deserve so much more than they get and although I can’t give them a bump up in pay, I can put together a nice appreciation gift. In the past I’ve gone with the thanks for helping me grow flowerpot, lip balm teacher gift and a pedicure kit gift. 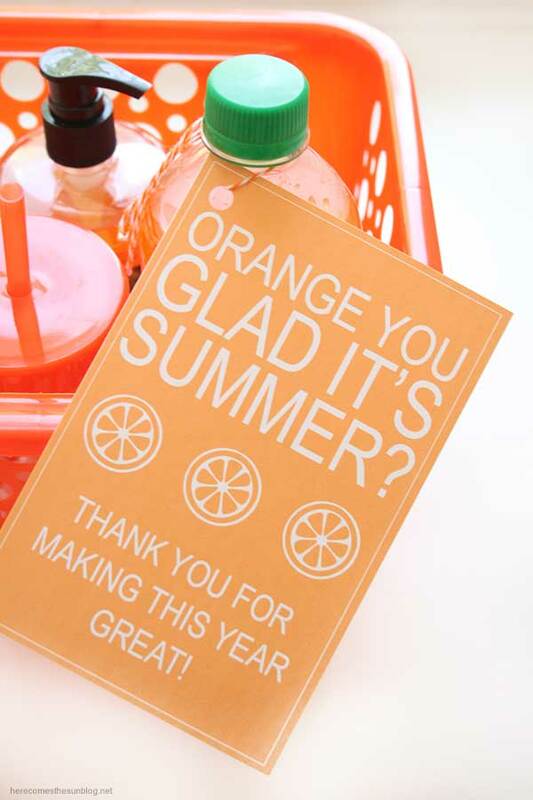 This year I decided to put together an orange themed teacher appreciation gift. 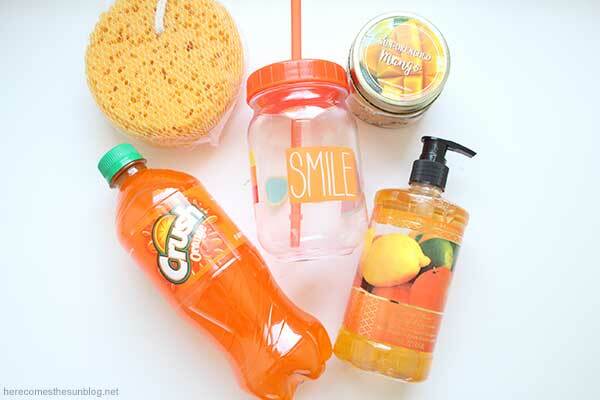 All you need to do to assemble this gift is place everything into an orange basket (I found this one at the Dollar Store) or use another color container and tie some orange ribbon or tulle around it. 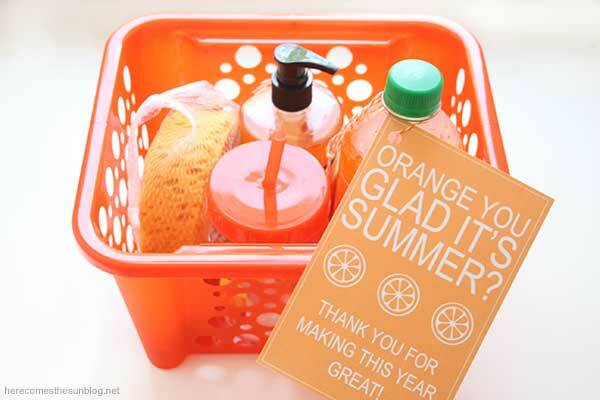 Then, download this orange themed gift tag printable, punch a hole, thread some bakers twine through it and tie onto the basket. 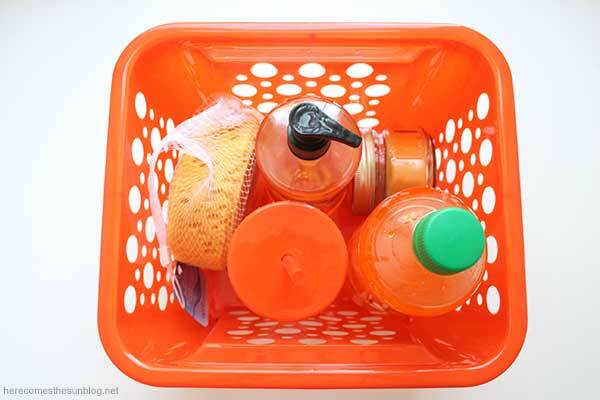 You can access the tag in the resource library, below. Any teacher is going to be super excited to receive this gift.